Xylitol, stearic acid, natural fruit juice and flavors, citric acid, malic acid, magnesium stearate and monk fruit extract. Xylitol, stearic acid, evaporated cane juice, orange juice and natural orange flavor, citric acid, magnesium stearate, monk fruit extract, and grape seed extract. Quality, purity, and potency guaranteed through expiration. Keep out of reach of children. Use only for children 2 years and older. Consult your healthcare professional before using this or any product if your child is taking medication or has a medical condition. 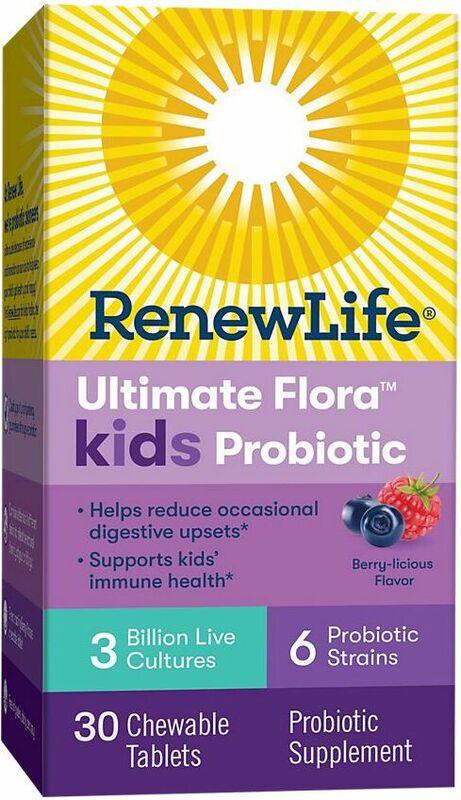 Ultimate Flora 1 Billion Kids Probiotic is made with 4 specially selected strains to promote digestive balance and support immune health. Each Kids chewable Buddy Bear tablet is bursting with delicious, sun-kissed orange taste, and contains no artificial sweeteners, flavors, or colors. Store in a dry place at 77F (25C) or below. 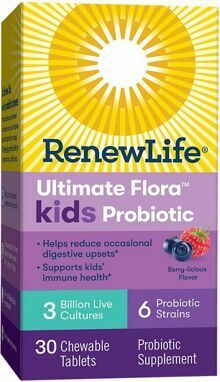 Other ingredients: Xylitol, stearic acid, evaporated cane juice, orange juice and natural orange flavor, citric acid, magnesium stearate, monk fruit extract, and grape seed extract.